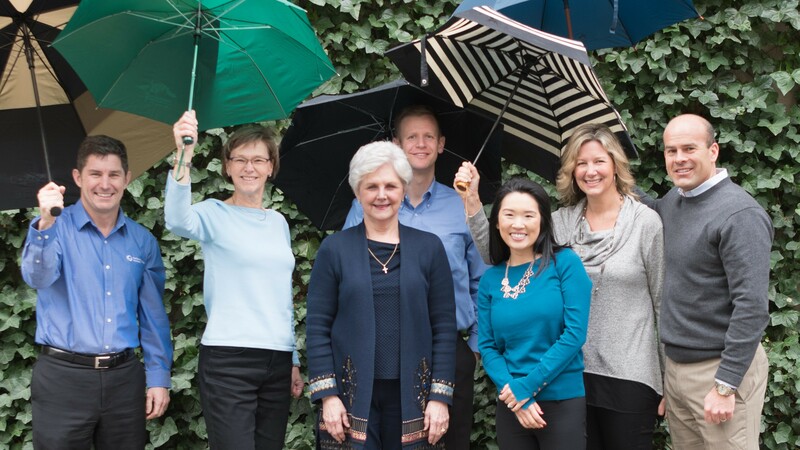 With offices across the country and more than three decades of leadership and innovation, National Christian Foundation is comprised of some of the brightest, most passionate experts in charitable giving today. Kendra VanderMeulen, President of NCF Northwest, celebrated her 10th anniversary with NCF in August 2017. She is encouraged by the growth of the generosity movement in the Northwest and is emboldened to see it expand throughout the 5-state region in the coming years. Kendra’s focus is on supporting the rest of the team and working with property owners and business owners who wish to make gifts of Real Estate, Business Interests, and other Complex assets. Bob Mumford is VP and Relationship Manager for NCF Northwest in the Portland office. He is serving givers and advisors in Oregon and SW Washington helping generous people creatively partner with God to impact His Kingdom with appreciated assets that have been entrusted to them. Bob’s background in the business world of electrical distribution working with small business owners helps him understand the challenges business owners’ face and the opportunities that exist in business transitions and wealth transfer. Bob & his wife, Beth, love the journey of generosity that God has them on, and the opportunity to be on the journey with others in the Oregon and SW Washington area. Cindy Wimmer is Relationship Manager for NCF Northwest in the Seattle-Bellevue metro area. She is focused on serving and growing the family of NCF givers in the Puget Sound area. Cindy has held sales and management roles with AT&T and other local companies, she has volunteered at Camp SAMBICA in Issaquah, and she co-leads a Mom’s In Prayer/Bible study group facilitating the study of God’s word and creating a fellowship where local Christian women can connect. Matt Wimmer is the NCF Northwest Generosity Ambassador. His focus is on growing the Generosity Movement and spreading the message of Biblical generosity to wealth managers and high capacity givers in Western Washington. Matt’s background spans years as player, coach, and consultant in entrepreneurship, financial services, non-profit leadership and athletics. He brings his experience to NCF in hopes that by sharing his joy of generosity and his story others may discover what it means to take hold of the life that is truly life. Joe Eelkema is NCF Northwest Relationship Manager serving the friends of the Foundation who live outside of the Seattle-Tacoma metro area. In his role as a relationship manager he shares ideas for simplified, leveraged giving with generous Christians and their professional advisors. Joe’s BHAG is to see pockets of Believers in Washington growing together in community and actively exploring the generous life together. We are excited by the opportunity to serve generous givers and to see the generosity movement blossom in the Northwest. Our prayer is that the Lord will use NCF to accelerate generosity and advance NCF’s vision to reach and restore every person through the love of Christ.